In preparation for our upcoming Collegiate Peaks run, Luna and I were “training” by putting in trail miles just in the front range. On Monday, we were on the Mesa trail about 4 miles south of the Flatirons, just past Mallory Caves. I was having one of the best runs of my life, really in the flow, feeling great. Lu was off leash, on the edge of the trail, running in stride with me. It was noonish, sunny, and there were a whole bunch of people on the trail. It came down on its feet again and turned toward Lu. It happened in a split second, she took off and it followed her in hot pursuit. So what did I do? Ran after them as fast as I could. Bears can run up to 30mph, apparently. They turned a corner and I couldn’t see them anymore. About 2 minutes later, I heard the bear turn up the hill back into the brush. It was sort of jogging relatively slowly. I was certain it had gotten her and was dragging her body back to its den and I started screaming her name. From around the corner someone yelled “your dog’s okay!” and I started running again. Turns out there were two girls on the other side of the hill that saw the whole thing-Lu and the bear ran right past them, and they saw the bear give up essentially. I started yelling for Lu and she was far enough in the distance that I couldn’t see her but she headed my way and soon I was holding her. Not a scratch on her, she looked like she just finished playing an epically fun game of chase. By deflecting the bear and outrunning it (which a human could not do, btw), that little dog saved my life (and hers). I chatted with the girls about what happened for a bit, then started back towards the car, stopping to warn everyone headed in that direction. I unplugged my headphones so Run DMC could be my new bear deflection system. Every time there was a slight sound in the woods I jumped like three feet. Back at the ranger station, I reported what had happened. The ranger taking my report was pretty disinterested, but did take down all of my contact information and told me they or Fisheries and Wildlife might need to contact me (weird, what for, right? nobody did, that I know of). When I spoke to the ranger in the field via radio, he was shocked when I told him the whole story. He said an aggressive bear usually means cubs nearby, but the location that the bear started and ended didn’t make sense for cubs. The best either of us could figure out is that we surprised a bear that was feeding nearby to the trail by sneaking up relatively quietly, and because it was startled it became aggressive. -don’t even run from a bear, or climb a tree. they’ll chase you; they can run 30mph and climb trees amazingly fast. -if a grizzly bear attacks you, play dead. 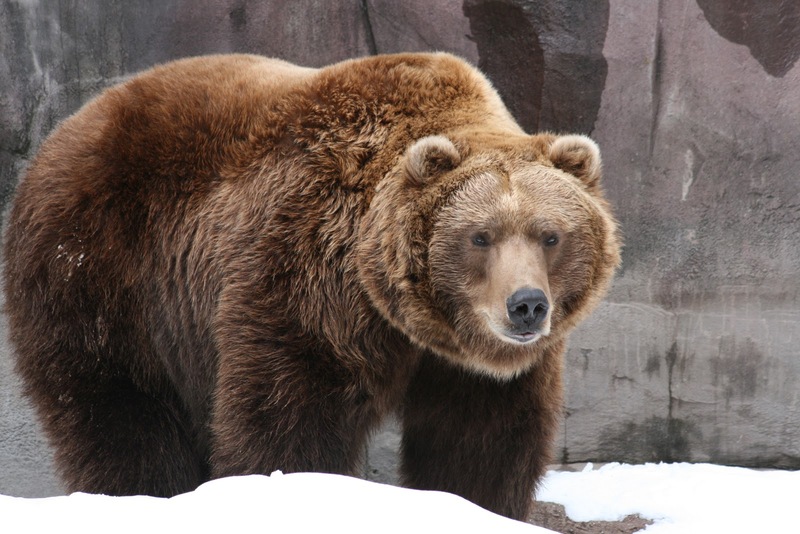 -grizzlies range in color from blonde to dark brown, and tend to be larger. Because of their reclusive nature, it is rare for humans to see them at all. 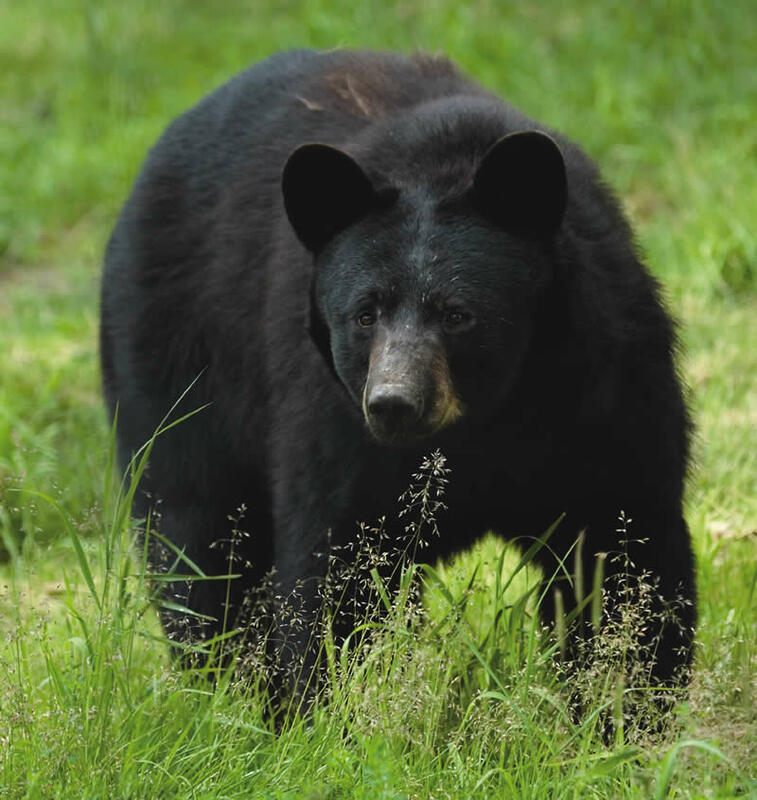 -black bears range in color from blonde to jet black, and tend to be smaller. Their hair is shorter and of a different texture. BEAR PREVENTION: when in the woods, make noise. all types of bears will try to avoid you as much as possible and that’s why we don’t see bears very often. if you’re often by yourself, get a bear bell. don’t carry an open container of fried chicken. don’t bring any food into your tent if you’re camping. DAMN. I think MY heart rate just got back to normal.